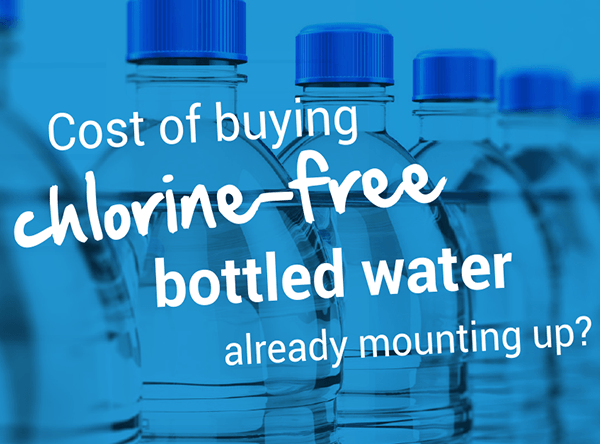 Cost of bottled water mounting up? The latest ‘water cooler conversation’ is that some Christchurch people have started buying bottled water since the council started adding chlorine to the water supply. We get it. Depending on where you live, the taste and smell of some of the water is quite plainly awful, but the cost of all that bottled water is going to mount up over time. At Whitehead Plumbing & Gas Ltd we’ve got some alternative options that are way more cost-effective in the long run. 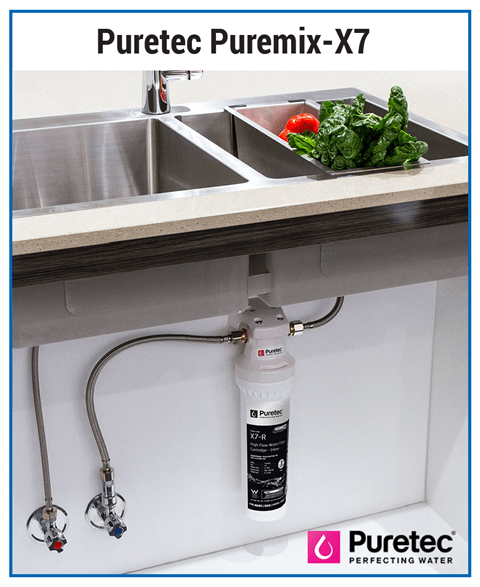 Puretec Puremix-X7 an under the bench water filter connected to the cold water supply to the kitchen tap. It filters out odours, bad taste, chlorine and other chemicals leaving healthy, great-tasting, clean, safe and pure water. $200 – $250.00 plus GST. 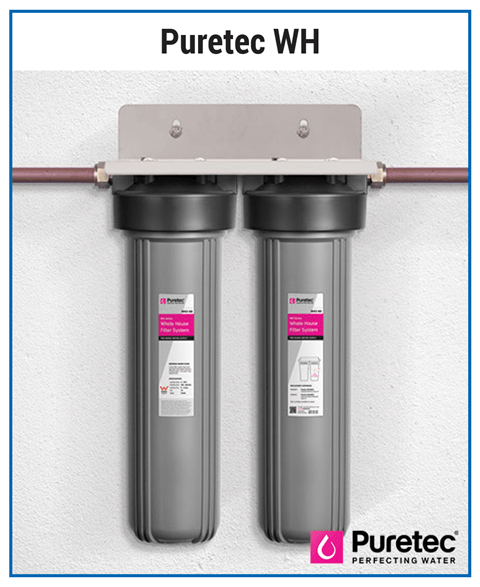 Puretec WH fitted externally and filters water supply to all outlets. This system provides purified spring water quality water to every outlet throughout the house. $500 – $1000.00 plus GST. If you want to leave behind that awful chlorine aftertaste, give us a call to discuss which option works best for you. Whitehead Plumbing & Gas Ltd.
Whitehead Plumbing & Gas Ltd, your water, heating & gas specialists anytime, anywhere.